Looking for the best of the best? 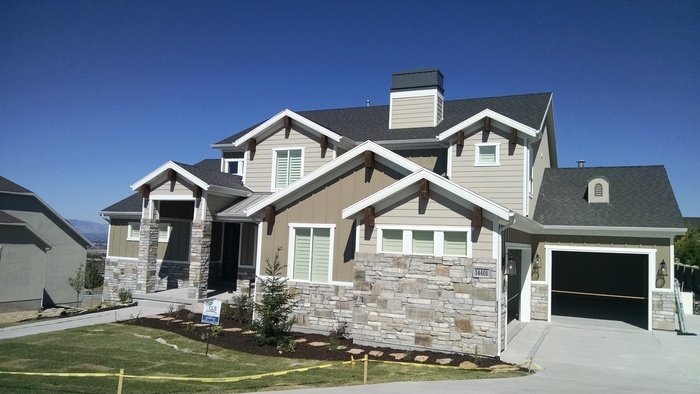 The Parade of Homes has showed off the best of Utah homes since 1946. Millions of visitors attend the Parade of Homes to see the latest and greatest in home innovation, décor, architecture, and style. Each aspect of every Parade of Homes location is constructed using only the best materials in the industry. 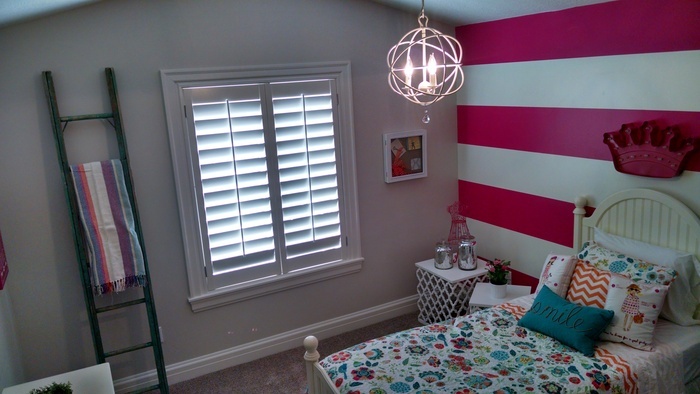 That is why Huish Construction used Stanfield shutters in their Salt Lake Valley Parade of Homes house in August 2015. 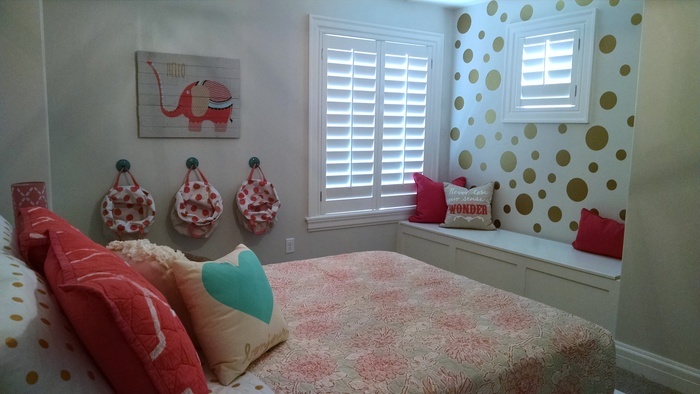 Stanfield shutters is Utah’s premier manufacturer of window shutters. 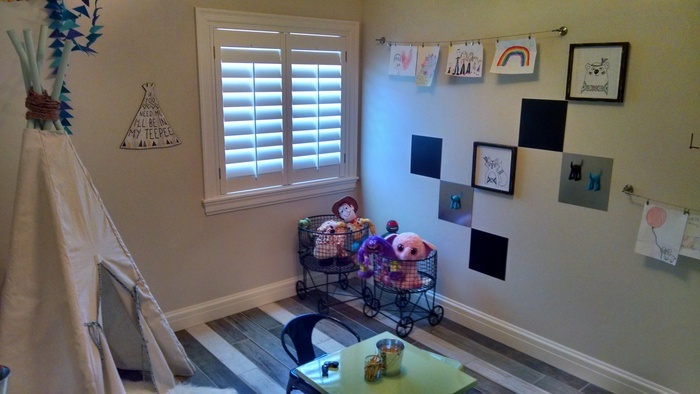 Stanfield shutters were used throughout the home on more than 30 windows. 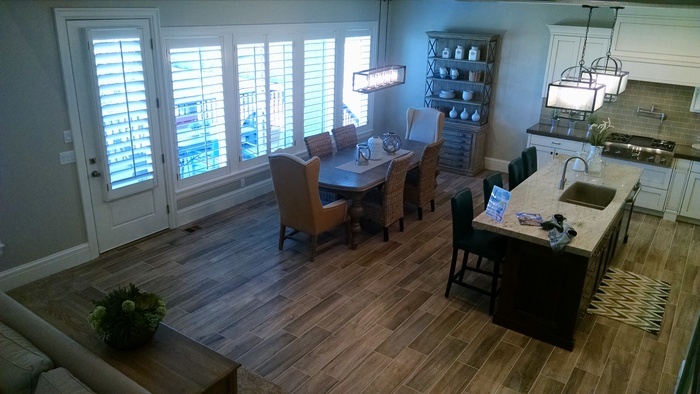 With a reputation of quality products, and a history of more than 70 years in the area, Stanfield shutters made a standout appearance at the Parade of Homes. 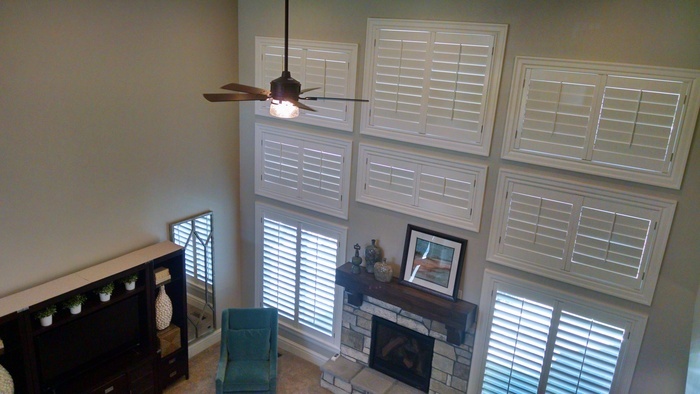 Savannah shutters by Stanfield are made of composite hardwood material. This high-density fiberboard (HDF) is a natural wood product enhanced by modern technology. Using advanced techniques, the material is scientifically designed with cross grained hardwood fibers that are blended together with industrial strength resins and treated to withstand everyday use. This manufacturing process offsets the movement that occurs in natural woods, making the HDF able to outperform and outlast natural wood selections. The fibers are cleaned and refined to remove any imperfections, which gives the shutters their smooth and professional appearance. The individual fibers in HDF stabilize each other, making a stronger product that is resistant to moisture or temperature change. This makes HDF smooth, durable, easy to maintain, simple to clean, and prevents the shutters from warping or cracking over time. 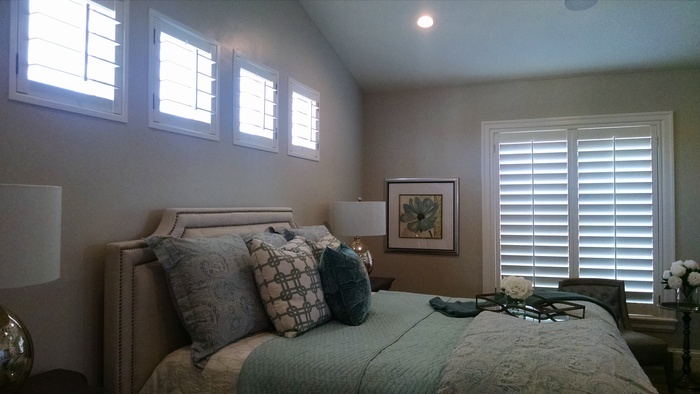 The Savannah shutters made with HDF work perfectly in both ground level and second story windows because they are efficient in both summer and winter. The coating on each shutter deflects UV sun rays back outside, keeping the room cool and saving on cooling costs in the summer. 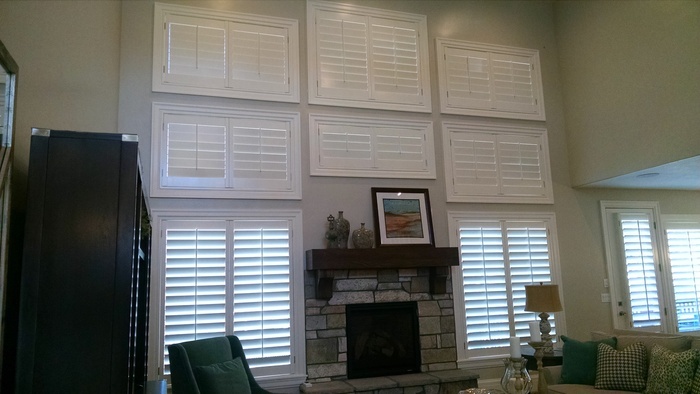 During the colder months, the shutters provide exceptional insulation to prevent heat from escaping. The Savannah style featured is the most popular model of Stanfield shutters because they give a classic look to the home while complementing a variety of styles. The classic white shutter provides a clean backdrop and allows the beauty of the home to shine through. Stanfield uses HDF because it eliminates any inconsistencies and may affect the integrity of the final product. 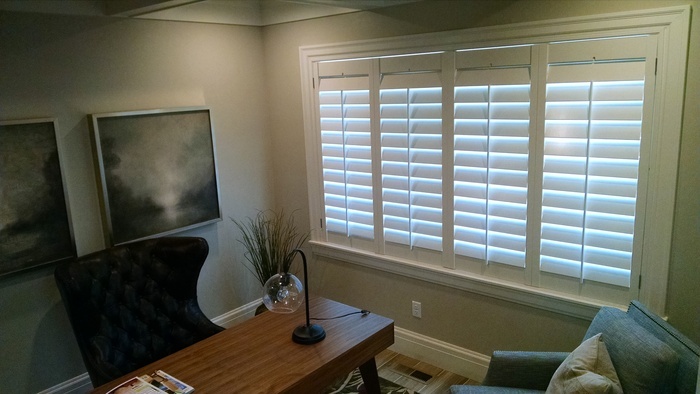 Each shutter made by Stanfield is held to a higher standard in both material and artisanship. 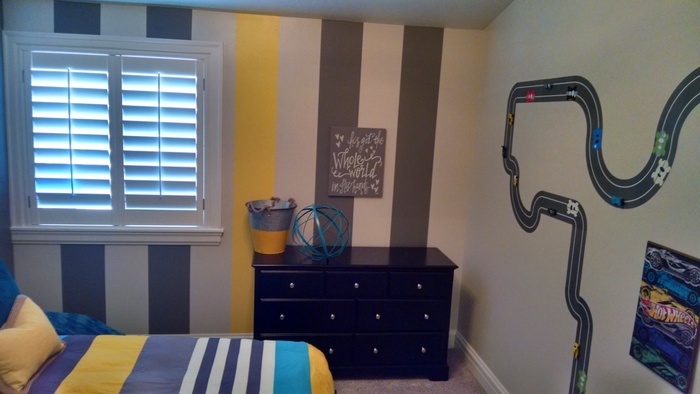 Because HDF does not have a natural grain, the painting process is completely smooth and warp-free. Since the 1950s, Stanfield shutters have enhanced the look and feel of homes across the country. From the small, one-inch, shutters of years ago to the modern plantation style popular today, Stanfield works with interior designers to provide the colors, styles, and beauty demanded by this ever-changing market. Today, Gary Stillman runs Stanfield Shutters with the same level of integrity and dedication to quality as the company was founded in 1947. After Gary purchased the company from Paul in 1975, he continued to grow the business into a household name known for quality, reliability, reputation, and customer satisfaction.